Two posts in one day! Had to show everyone this. We stayed in tonight and made dinner for the first time on our little stove! 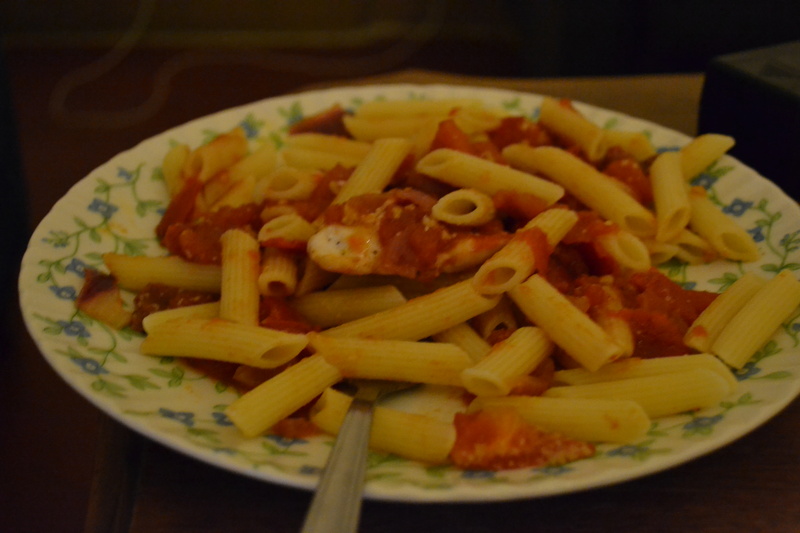 A roommate and I made dinner together, Jillian having wanted pasta and pasta being part of my dish to begin with. She made this great tomato and onion sauce to go over her penne, just a bit of water and veggies simmering over the fire until gooey, and it was really great. The tomato was succulent and bursting with flavor (I think she bought it from the farmers market going on in Piazza della Anunziata), and I might just start to like tomato while I’m here . . . The onion was biting and a perfect foil to the smooth red sauce. I seared some chicken pieces that I cut up from a breast I bought at the supermarket with a simple rub of salt and pepper. Fried up in butter and olive oil, it was paired with penne pasta doused in olive oil, cream raspberry-balsamic vinegar and salt/pepper. I also indulged in a little white wine. If that was the wrong color someone please tell me!!! 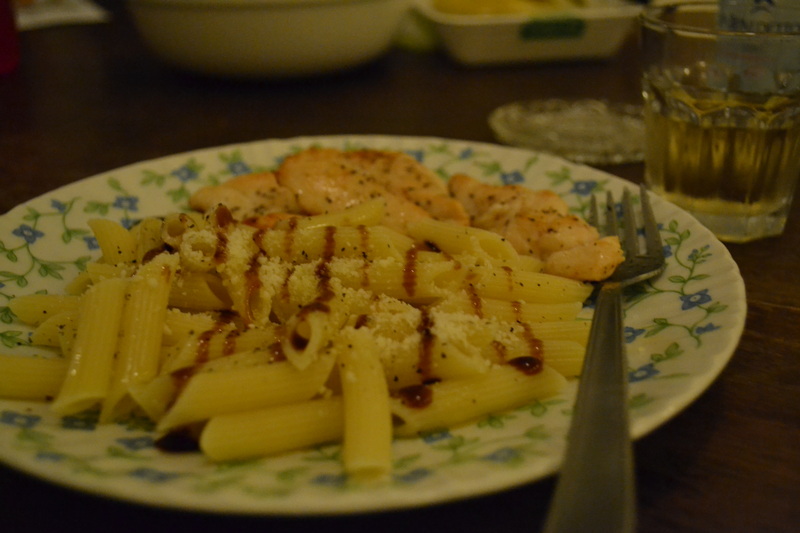 Chicken, pasta with balsamic/olive oil/salt and pepper! Can I come over for dinner? It’s only a few (15?) hours drive away? Awsome that you got 2 entries in one day! Hope all goes well tomorrow!! !